The Nikon D750 has just been released, so I headed to the Falmouth Car Show on Cape Cod for some hands-on time to test it out, as I researched and worked on my guide to the camera, Nikon D750 Experience. Nobska Lighthouse on Cape Cod – Woods Hole, Falmouth, Mass. I’ll let the other sites discuss the image quality, sharpness, and noise of the D750 sensor, and instead share some user-oriented thoughts about the camera, along with some of my favorite images from the trip. 1966 Ford Mustang GT Fastback – Falmouth, Mass., Cape Cod. I made use of both the Viewfinder Grid and the Viewfinder Level (assign the Fn Button to the Level option) to help keep the compositions straight and level – though you can’t use both at once. I mostly worked in Aperture Priority Mode, typically with the aperture set at f/4 for dramatic depth of field. I assigned the Movie Record button to ISO so that I could more easily change it on the fly while shooting, even keeping the camera to my eye as my finger located the proper button. Although there is an ISO Button on the rear of the camera, I find it quicker and easier to use a top button near the Shutter Button for this. 1962 Chevrolet Corvette in Honduras Maroon – Falmouth, Mass., Cape Cod. I pulled out the articulating Monitor for a few overhead shots (not shown here). While some have said its framework seems sturdy and durable, it feels a bit delicate to me. The extended screen certainly wouldn’t survive an accidental drop, and the exposed ribbon cable seems like trouble in the making. Though if you are just using the movable screen while working on a tripod or carefully shooting, it should work and hold up just fine. 1963 Chevrolet Corvette Sting Ray, Split-Window Fastback. (Notice the split-window shadow in the back of the car) – Falmouth, Mass., Cape Cod. The Command Dials have a nice rubber texture to them, which is much more comfortable for extended use than other lower-end cameras with dials of a harder material. All the controls are pretty standard Nikon controls for the current models, and are easy to locate and use. The D750 has the handy i Button, and a new Information Display screen which works a bit differently than other current Nikon models. The i Button calls up the i Button menu during Viewfinder shooting (and Live View shooting), rather than directly changing the settings along the bottom of the screen. This is a handy way to change settings such as Image Area, Picture Control, button assignments, and Noise Reduction. 1958 Chevrolet Impala – Falmouth, Mass., Cape Cod. And when you press the Info Button to show the Information Display, you can directly change many of the camera settings as your view them on the screen. Rather than simply seeing an icon on the Information Display as you do with other Nikon models, the screen now says what the option is, and which dial to turn to change which setting. This is much more helpful than simply having to remember what dial to turn, or having to go with trial-and-error every time. For example, if you press the Info Button to illuminate the display, then press the AF-Mode button (located near the base of the lens), the screen will indicate that you turn the front Sub-Command Dial to change the AF-Area Mode, and the rear Main Dial to change the Focus Mode. A similar helpful screen appears for the other button settings such as WB, ISO, QUAL, Metering Mode, Flash, and BKT. 1965 Ford Mustang Shelby GT 350 Fastback – Falmouth, Mass., Cape Cod. It is disappointing that Nikon did not include the AF-ON Button on the rear of the camera, which is used for autofocusing and back-button focusing on other models. You can still set up the AE-L/AF-L Button to be used to lock focus with or without also locking exposure, or you can set it up to perform AF-ON back-button focusing, it is not as versatile as other cameras because you don’t have separate rear buttons for exposure lock and focus lock. 1941 Oldsmobile – Falmouth, Mass., Cape Cod. 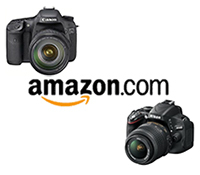 If you are considering purchasing a Nikon D750, or any lenses or accessories, please consider using my Amazon or B and H Affiliate Links, found on the left side of the page. And if you like this post and this blog, be sure to share it on forums or social media – thanks! Learn how to take control of your D750 and the images you create, with my guide Nikon D750 Experience. 1957 Dodge Custom Royal – Falmouth, Mass., Cape Cod. I am one of your customers having bought your book on the D7100. I am pretty good at using my D7100 now. Last week I bought the Nikon D750 + NIkkor 24-120 F4 VR, do I need to buy your Nikon D750 book to know my new camera, isn’t it similar to my D7100? Hello, while both the two cameras and the two guides are similar, the D750 has added several additional menu options and features that were not included on the D7100, such as Highlight Weighted Metering. And my guides have grown over the past few years, so the D750 guide is much more extensive than previous guides. I will get in touch with you about a discount code you can use for the D750 guide. Thanks a lot to keep this blog running. I just started to read your manual, and like the one you wrote for the D7100 its excellent. I realized the AF is much better on my D750 specially with a long lens. All my birds pics on the D7100 were done so far hand-held, but I plan to buy a tripod for outdoor wildlife. Is there a limit in weight not to go over to be able to carry it for many hours ? I already bought a year ago a Gitzo GH2780QR ball head (450$), and I installed it on a Manfrotto 055CL (5.5 lbs), that is way to heavy to carry it in the field. Do I have to spend over 500$ to get a carbon fiber tripod or a simple tripod such as the FOTOPRP C5i (3.5 lbs) can do the job at taking long exposure (less than 1 min) ?. 1- At page 165, you mentionned that if the speed of the lens is F5.6 we have only 15 points available with 9 cross-types. This is ok, but what I quite don’t understand is why when the lens speed is F8 there are 11 points with 5 of them are in the 15 cross-types group and only one is acting as cross-type ? 2- I have a Tamron 150-600 F5-6.3 VR that I use on my D7100 & D750. I use it mostly at 600 mm meaning the speed of the zoom is now F6.3, how many points are used in AF-C in that case for the two lens ? I suppose that’s the reason why its not easy, to track birds in flight particularly with the D7100 at 600 mm (910).